Derek Gaunt has no family and few friends. Scarred, solitary, he is the lone wolf who separated from his pack. When those close to him are murdered, he’ll stop at nothing to hunt their killer through the magic-drenched Atlanta. Soon Julie Olsen joins him and what begins as revenge turns into the race to save the city. Their search puts them against powers they never imagined and magic so old, it predates history. It may cost Derek his life, but there are things for which even he would risk everything. I received an ARC of this book from the author, this does not affect my opinion of this book or the content of my review. But I even bought it, that’s how fantastic this is. Eeek, she got it out earlier than I had expected. Sorry for the late(r) review. Squee! We get a Derek and Julie novella! This is an independent project so YEAH for self publishing! But it is an addition to the Kate Daniels World, and while I find her novellas to be very successful for me, that may be because I am well grounded in this world. So if you are a Kate Daniels reader this is a must read, but if you aren’t, I say what are you waiting for, start at the beginning and then read through here. This is the Andrews’ version of YA/NA, and they’ll tell you it isn’t their best perspective. But with characters like this who are grounded in a larger series, they do a great job. For me at least (knowing my penchant for disliking YA/NA), what makes it work is that while these characters are 16 and 20 years old, they have had hard lives and aren’t very teen-like. Not like they are grown up characters with young ages slapped on them, their lived experiences have just aged them in a believable way, and so the teen drama is largely absent. Beyond loving these two characters and wanting to know more about them though, this story is KIILLER, just all sorts of nuggets about what is coming up next. Do you want to know what’s happening with Hugh? Yeah, that is in here. Do you want to know what is up with Kate and Julie’s relationship? In here too! Do you want to see Julie put the feminist smackdown on Derek? You’ll have to read the book. Do you have a great and terrible love for bacon? Very funny Gordon and Ilona, that one scene was priceless. I could keep going on about the things I love and that you need to read, but I won’t because I’d risk spoilers, and no one wants that. But there are myriad reasons to read this, not the least of which is seeing these two work together as a team. Don’t worry, nothing romantic, Derek very specifically closes even a hint of that right now, Julie’s too young. But they are a fantastic team. And damn, that ending, it is just that start of some sort of fairy tale. Of course not the newer fluffier version of fairy tales, no not the newer fluffier version at all. Just holy hell, this one is not to be missed. I am just flabbergasted. Probably you could read this without having read the rest of the series, but I don’t advise it. What this mostly is, is a great big luscious Christmas present for fans, and a holy hell I can’t wait for Magic Binds. And it is listed as Grey Wolf Book 1 on Amazon, so a Derek series? Oh please I hope so! I received an ARC of this book from the author, via HCBS; this does not affect my opinion of this book or the content of my review. 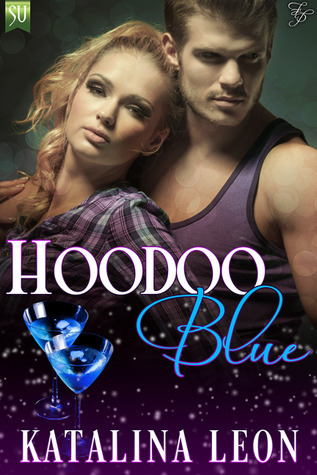 This is a fun, snappy little paranormal romance, but instead of a meet-cute, we have a meet-disaster. Neither Gus nor Fredi thinks they are in the right place to date, but a good-hearted friend with a penchant for mischief and spell casting gone awry thinks otherwise. And when the spell goes on, the brakes on the brain and the lips definitely goes off. There’s some rather fun repartee and some sizzling smexing, followed by a sweet happily every after. :Sigh: I just adored Gus, he’s too precious for words. The only reason I am not rating this higher is that some of the dialogue and the inner monologues were a touch clunky and in a few places, repetitive. But overall it is a fun read and I am rather interested in finding out what kind of hi-jinks Estele is going to get herself into when it is her own love life on the line. Sid smirked and walked away. Damn Fae. With his sly green eyes, he always looked like he was up to no good. “Wolf men,” he corrected her. “And you’re right Lycans prefer the woods to sandy beaches, but you must have heard something?” He settled his big frame uncomfortably on the vinyl seat. This was a novella recommendation from Nalini Singh’s blog. It sounded so cozy it seemed a perfect read for what has turned out to be the dreariest day so far this year. William Renwick, Earl of Casslebury sets out to find a wife with his usual military precision, but the quarry in question manages to continually elude him. Right when he thinks he has her cornered, he finds out her companion has some unusual proclivities. No, it’s not dirty, but it is one of the most humorous and novel openings to a story that I have had the pleasure to read. I simply adore a military man with a sly sense of humor who only thinks he knows what he wants. Patience is a plain woman, of limited means, advanced age for her time period, and even more dismal family lines. Not at all the sort of woman an earl would choose. Fortunately our intrepid hero doesn’t continue to pursue the wrong woman out of stubbornness, and in relatively short order a lovely sort of silly and romantic relationship blooms. Of course it had to bloom in short order, this is a novella, which means that there are very few conflicts than can be capably handled, and in this case it was the BIG SECRET. It isn’t my favorite trope, but with the secret in question, I can understand why it was kept. 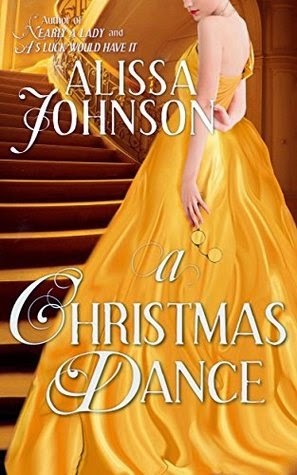 A Christmas Dance was an altogether lovely novella that brightened my dreary day right up. This is the 6th story in Erin Kellison’s Reveler series. I am not entirely sure how I missed this for so long, as it came out in January, but I am glad to get it. As I have previously said, I cannot in any way, shape, or form guarantee a spoiler free review. These are not stand alones, they aren’t even interconnected novels, this is a serial. This is the second entry covering Marshall Harlen Fawkes and Sera. There isn’t a ton of growth in their relationship, though there is some, but this sixth novella really drives the story arc, the relationships, and it brings back Steve Coll. I still love the premise and the world building, I still love the characters, and I absolutely need to find out what is happening with the Sandman and with the Scrape (those are also the titles for the upcoming stories according to Kellison’s website). Shared dreaming and lucid dreaming are such fascinating concepts and the way this is executed in this series is enthralling. What I am still not fond of is the price, and the way this is being dragged out. Assuming there will be a total of 8 novellas, and assuming the first one remains free (not things I am entirely sure you can assume any more), you are looking at $20.93 to buy this story. I am just going to reiterate, as much as I really enjoy these stories, if I had to buy them, I don’t know that I would do so at this price point. I am hopeful when Ms. Kellison has completed the serial, she’ll put them all together into one book and sell at, what I would consider, a more reasonable price like Ms. Brook did for the Kraken King, because the story itself is excellent.